Best thing is, that with the LegacyXperia version of CM13 you can run Android 6.0.1 Marshmallow on it! This will be sufficient for most messenger apps for quite some years from now (2018). They took the word "mini" a bit too literally LOL :D. 3" in 2018... If 4" is considered "too small" by many, imagine 1" less. happy, 17 Aug 2017I miss my phone world best phone foreverI want Sony to update the xperia mini with modern SOC and modern display but keep the same size. I am not interested to 'consume' media or social media. I use phones as a communication tool and the smaller the better imo. i had it till 1 year before. is it available to buy now? and usr interfac. didnt feel yu bore. 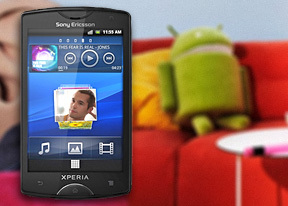 I love yu sony xperia. I have now 3 phones of this. The best phone I ever had. Small enough to easily carry it around and big enough to play a couple of games. I had it. but once fall and screen broken. can I get spare? from where? Can watsap be used in this phone?